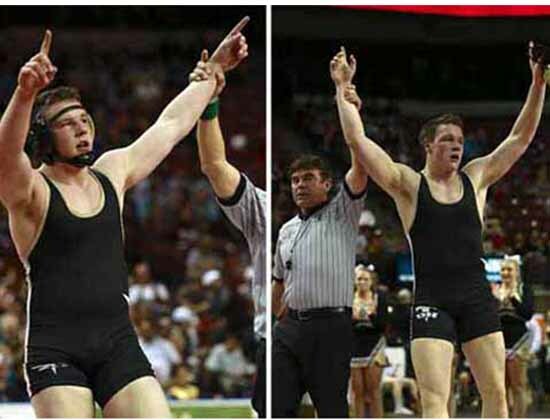 For Desert Hills twins Cody and Tyler Stevenson, wrestling is in the family. Through much of their childhood, Cody and Tyler’s father was a wrestling coach, and the brothers have enjoyed the sport since they were kids. As freshmen, Cody and Tyler watched their older brother, Kalob, become a Class 3A state wrestling champion. This experience emboldened the brothers to aspire towards state titles of their own. Last year, as juniors, the twins reached that goal, winning Class 3A state championships along with many other triumphs at tournaments and matches. 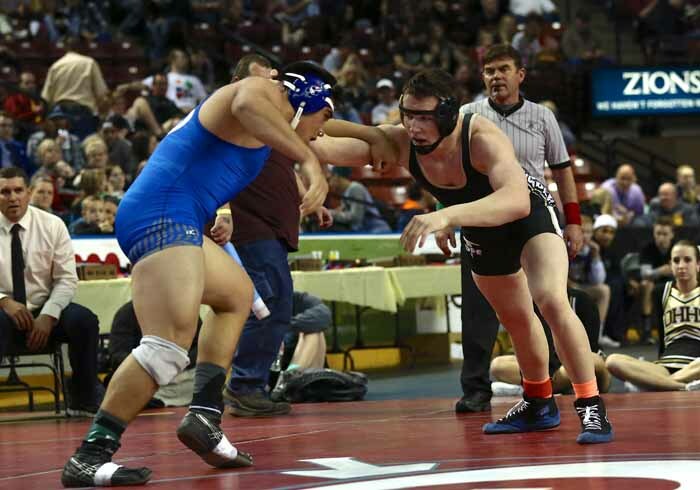 Cody won the 195-pound weight class and Tyler secured a state championship for the 220-pound weight class. The twins’ success comes from their dedication to wrestling and their focus on self-improvement. Cody and Tyler step off the mat just four months out of each year. In their short off-season, they compete in CrossFit and attend various wrestling camps to maintain their strength. Their CrossFit competitions combine multiple exercise techniques to help them build strength. “We feel like (CrossFit) helps us a lot,” Cody said. The hard work makes the Stevensons leaders on the Desert Hills team as they compete at the highest levels, and set an example of success for their teammates. The Stevensons make sure to take time during practice to help younger and less-experienced wrestlers on the team develop their skills. Cody and Tyler’s relationship as twins has helped their performance as they train and compete side by side. “We’re good practice partners,” Tyler said. Being twins has placed some pressure on Cody and Tyler as they work toward the same goal, however they use this pressure to their advantage. Their competitive natures have pushed them towards impressive achievements as they watch each other’s victories. When they have free time, Cody and Tyler enjoy getting outside and hiking and horseback riding. They also love spending time with their family. They have especially enjoyed spending time with their older brother, who recently returned from a mission for The Church of Jesus Christ of Latter-day Saints in Cali, Colombia. Cody and Tyler have attended several nationally accredited tournaments this year. 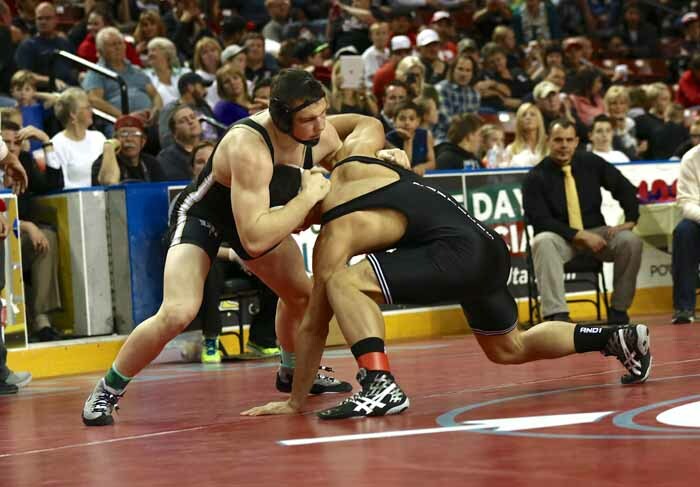 They were the first wrestlers from Desert Hills to compete at the Reno Tournament of Champions, where Cody took fifth place in the 195-pound weight class and Tyler became a high school All American as he took third place in the 220-pound weight class. This season, Cody and Tyler are looking to hold their ground as 3A state champions in their respective weight classes, and then they have even bigger plans. “We want to go to the next level in wrestling,” Cody said. Following high school, the brothers plan to serve LDS missions and attend college. They are considering offers from many colleges and will be attending tryouts in the spring. Cody and Tyler plan to continue their wrestling careers throughout college. 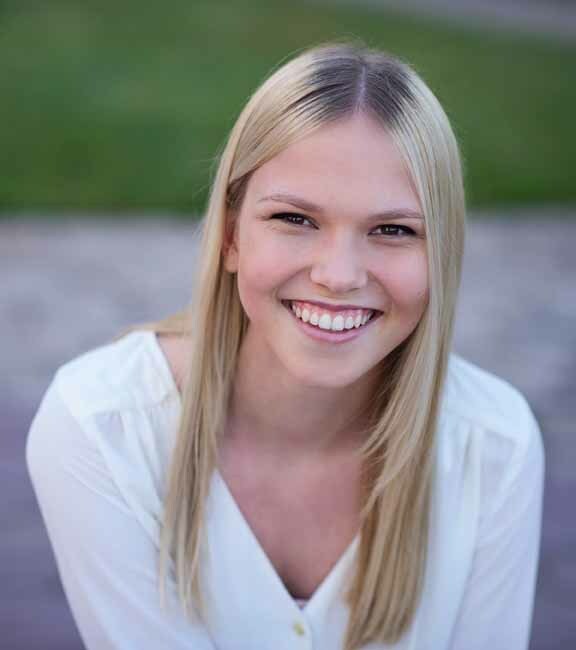 Desert Hills High senior Marchelle Lundquist wrote this story as part of the Preps Utah/Nu Skin student journalism program.